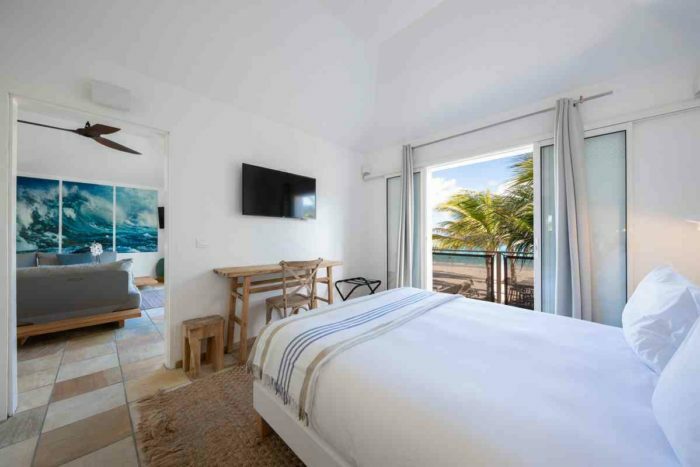 Whether you’re planning to holiday as a couple, a group of friends or family, the Pearl Beach Saint Barth has five different types of accommodation to choose from. 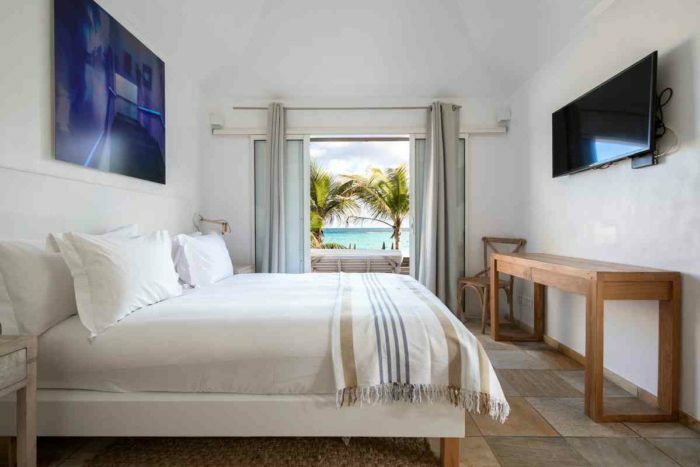 Relax in our Superior Tropical Garden view rooms, make the most of magnificent views of our Deluxe sea view rooms, or enjoy the convenience of our newly renovated Beach Front Room, Beach Front Suite and 2-bedroom Beach Front villa. 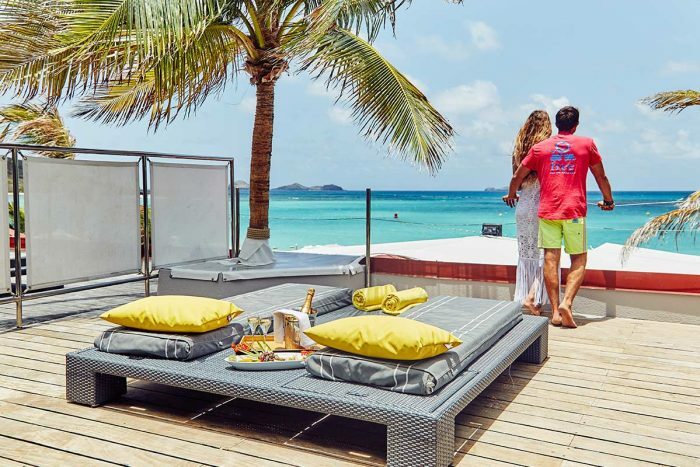 Don’t’ look any further, with its spectacular beachfront location, personalized service, trendy restaurant and beach bar, the Pearl Beach Saint Barth is the perfect place for your stay in St Barth. 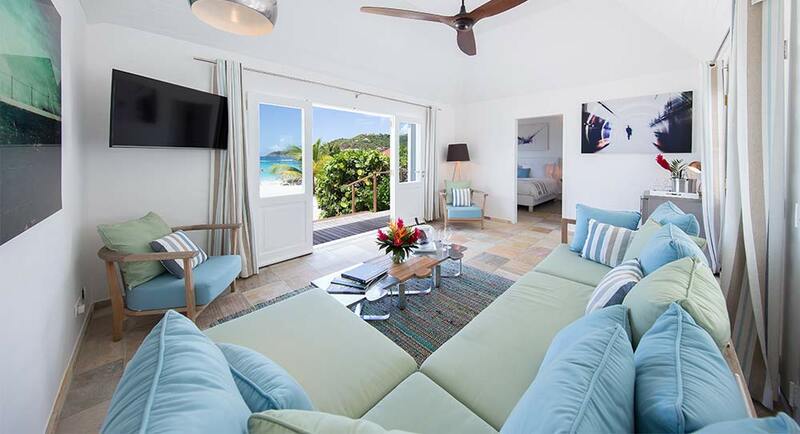 With an abundance of space, the two bedroom two bathroom villa lies directly on fabulous St. Jean Beach with absolute ocean-frontage and spectacular views of the bay. 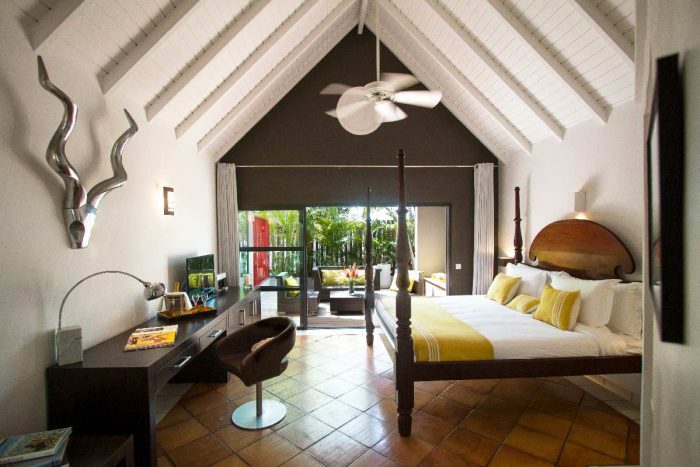 Individually controlled air-conditioning & ceiling fan. Two telephones with direct lines. Wireless Bluetooth JBL speakers, clock radio. 40 inches’ flat screen TV with Direct TV channels. Unlimited & complimentary high-speed Wi-Fi.